In the aftermath of Russia's exposure of the illegal oil trade between Daesh (ISIL/ISIS) and Turkey, the US has decided to come up with its own 'revelation': the US Treasury admits that the jihadist group is profiting from oil exports to the tune of as much as $40 mln per month, but claims the terrorist group is selling it to President Assad. “US Treasury Department official Adam Szubin said militants were selling as much as $40 million a month of oil at the installations which was then spirited on trucks across the battlelines of the Syrian civil war and sometimes further,” according to Reuters. 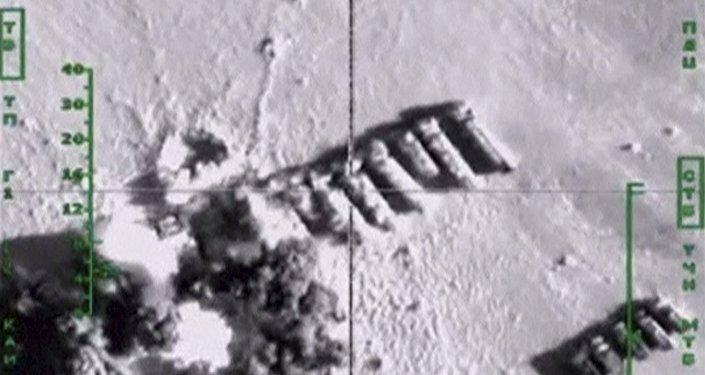 The Department, however, found nothing better than to claim that “significant volumes have been sold to the government of Syrian President Bashar Assad,” while neglecting to provide any proof to back up its claim, unlike the Russian Defense Ministry, which earlier presented satellite imagery and shots of oil trucks lining up at the border with Turkey, detailing each of oil smuggling routes on the map. "ISIL (Daesh) is selling a great deal of oil to the Assad regime," Szubin, the acting undersecretary for Terrorism and Financial Intelligence with the Treasury, claimed to an audience at Chatham House in London. "Some is coming across the border into Turkey," Szubin grudgingly admitted when asked for details on the money trail. "Our sense is that ISIL is taking its profits basically at the wellhead and so while you do have ISIL(Daesh) oil ending up in a variety of different places that's not really the pressure we want when it comes to stemming the flow of funding — it really comes down to taking down their infrastructure," he said. Szubin said it was unclear whether the $40 million per month estimate could be multiplied over a year. However, in remarks prepared for delivery, he said that Daesh had made more than $500 million from the oil trade. He didn't give a more specific time period. However, as it turns out, the US has been aware of the illegal oil trade between Daesh and Turkey for quite some time. “We’ve known for along time that the Turks are the ones exporting the oil for ISIS (Daesh) and making the money so we did not attack the convoys… I think it’s a bad decision, but I think what the White House decided it was that better to have Turkey friendly than to have Turkey unfriendly,” Philip Giraldi, a former CIA counter-terrorism specialist and military intelligence officer said on Thursday in an interview with the global news network RT on the sidelines of an international media conference being organized by the broadcaster. He added that the US officials used to be very careful about not blaming Ankara, because Washington was very concerned about having the Turks involved in the US activities in the region, allowing the United States to use airbases in Turkey. 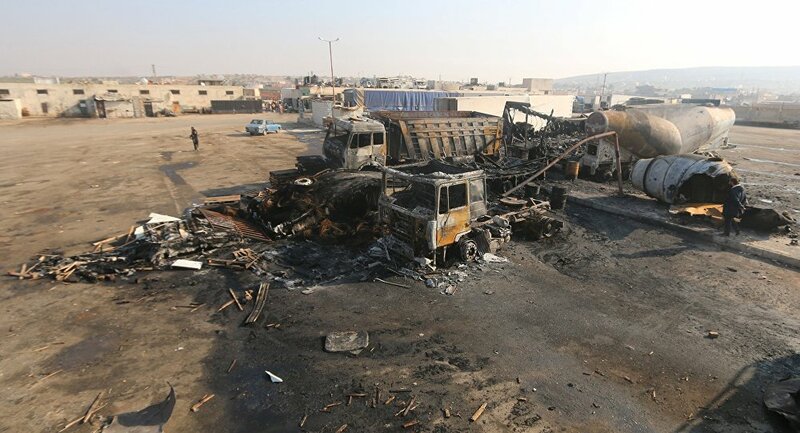 "The Russians last week published on TV pictures and videos of trucks carrying oil crossing the Syrian-Turkish borders. Of course, the Turks denied this, it’s very easy to deny, but let’s think about the reality," the Syrian leader said in an interview with the Spanish news agency EFE. 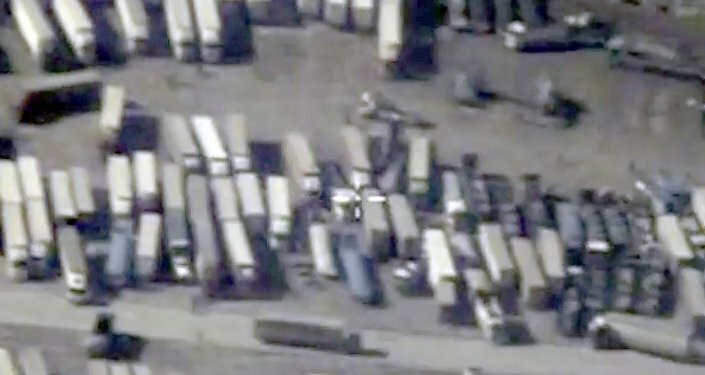 The Russians last week published on TV pictures and videos of trucks carrying oil crossing the Syrian-Turkish borders. Of course, the Turks denied this, it’s very easy to deny, but let’s think about the reality. Besides, numerous news outlets, including The Guardian and Zero Hedge, made their own investigations of oil smuggling into Turkey. The British newspaper has posted a number of articles on the Daesh oil business. “After a US attack on the compound of a Daesh (ISIL) leader in Syria in May, direct dealings between the terrorist organization and Turkey became undeniable,” the Guardian wrote back in July, referring to documents seized at the compound. “From mid-2013, the Tunisian fighter [Abu Sayyaf] had been responsible for smuggling oil from Syria's eastern fields, which the group had by then commandeered. Black market oil quickly became the main driver of ISIS (Daesh) revenues — and Turkish buyers were its main clients,” the daily reported. In a follow-up to President Putin’s remarks on the issue, the newspaper has published another article referring to a “long list of evidence of Turkish support for Daesh (ISIL) in Syria, compiled by The Institute for the Study of Human Rights at Columbia University."